1907 Kennedy Mine Main Office. 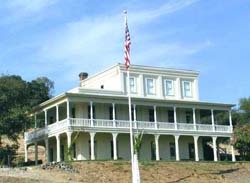 The Kennedy Gold Mine is a non-profit museum, a CA Historical Landmark, and is listed on the U.S. National Register of Historic Places as the principal part of the Kennedy Mine Historic District. 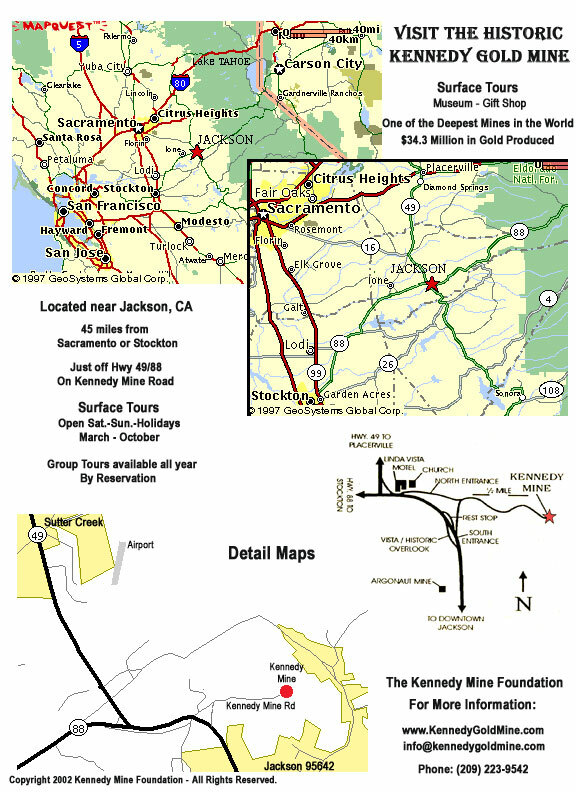 The mine is famous for the large amount of gold it produced, for having one of the tallest headframes in the Mother Lode, and for being the deepest gold mine in North America when it was closed by government order during WWII. 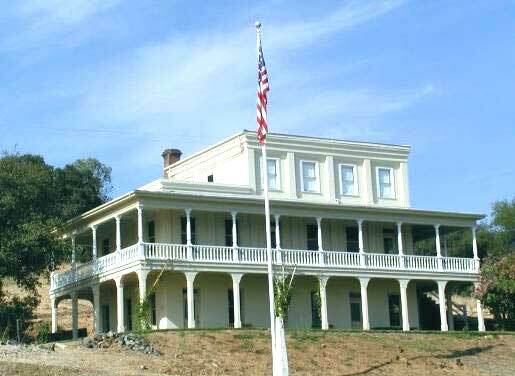 The Kennedy is located about an hour east of Stockton & Sacramento, near Jackson, California, on 154 acres. 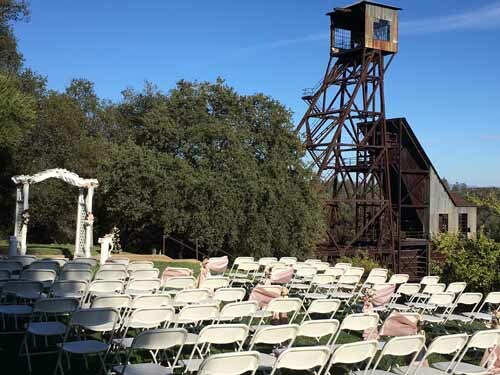 The Mine offers one of the best wedding venues in the Mother Lode with many scenic backdrops for your event. From the mine you can see out over the City of Jackson, and the Sierra Nevada Mountains. Many of the historic buildings and structures present a great atmosphere and add interest to photographs. 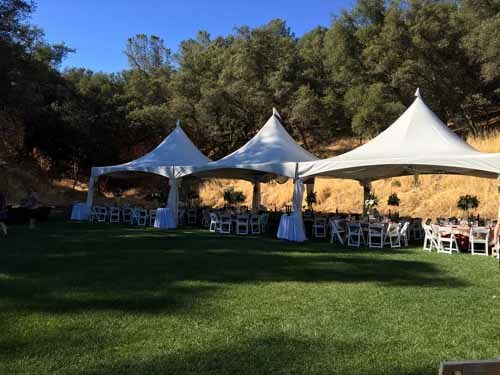 Large expanses of lawn, stages, including an amphitheatre, are available for large or small events. 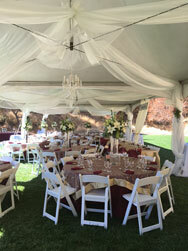 A period church is available for smaller, more intimate events. Generous parking for 250 cars is available. 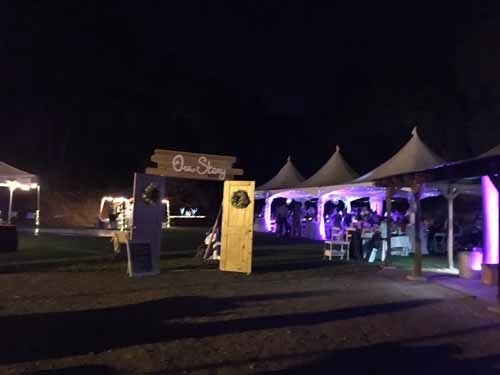 Gold mining ambiance set amid historic structures. 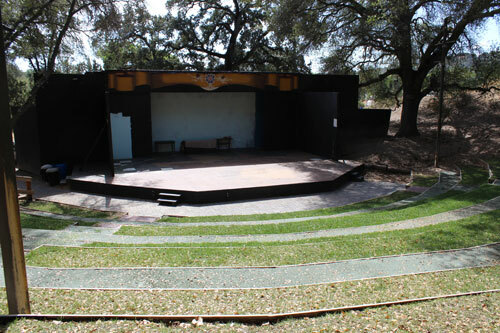 Powered Museum Stage and expansive lawn seats 200-300. 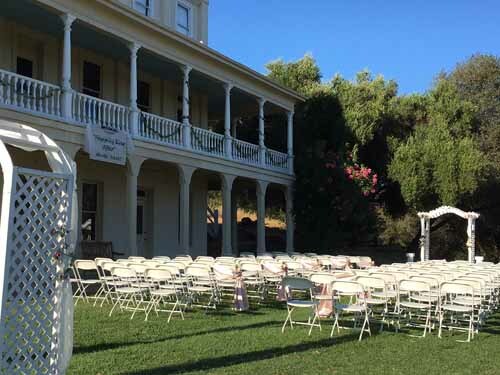 1907 Mine Office with scenic lawn - seats 150+. 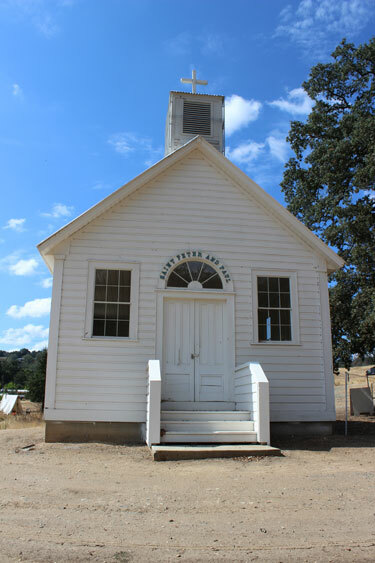 1877 Historic Clinton Church - intimate seating for 49. 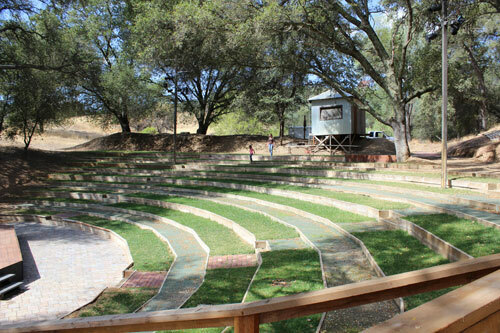 Powered amphitheatre stage with hillside bowl - seating 200. A large main parking area for 250 cars. Full kitchen with stove, sink and refridgeration. Picnic Area with picnic tables under an awning. Fantastic historic backgrounds for photography. Contact Us for a Great Experience! Contact us to select your preferred date. Our wedding coordinator will be happy to arrange a tour of the facilities for you, to discuss your needs and offer suggestions and services to help you have a perfect wedding day. Kennedy Mine Main Office Lawn. Kennedy Mine Change House Lawn. Change House Lawn at night.